Heated Seats, Nav System, Back-Up Camera, 4x4, Chrome Wheels, AUDIO SYSTEM, PREMIUM GMC INFOTAINMEN... Onboard Communications System, Satellite Radio, Hitch, DRIVER ALERT PACKAGE II, SLT PREMIUM PLUS PACKAGE. SLT trim, QUCKSILVER METALLIC exterior and DARK WALNUT / SLATE interior. EPA 20 MPG Hwy/15 MPG City! CLICK ME! 4x4, Back-Up Camera, Satellite Radio, Onboard Communications System, Trailer Hitch, Chrome Wheels, Remote Engine Start, Dual Zone A/C. Keyless Entry, Privacy Glass, Steering Wheel Controls, Electronic Stability Control, Heated Mirrors. 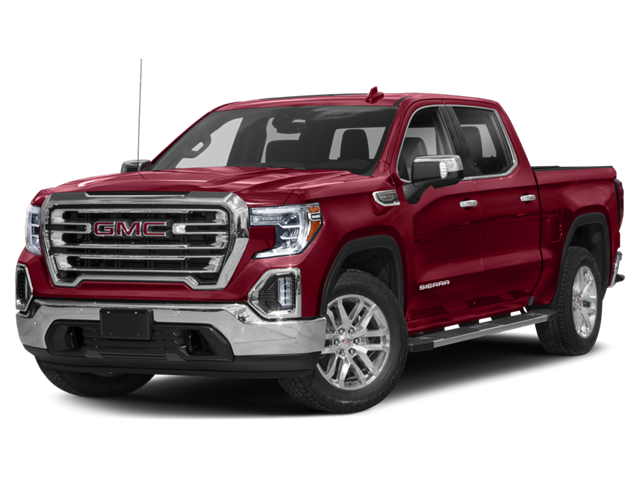 Hello, I would like more information about the 2019 GMC Sierra 1500, stock# GC5814. Hello, I would like to see more pictures of the 2019 GMC Sierra 1500, stock# GC5814.